Home » the 100 » Join Us For The 100 Unity Days Event! I have some VERY EPIC AND EXCITING news to share with you all! It is so huge that it cannot be complied in one or two sentences. So, read on! As many of you know (or do not, but that is okay), I am the social media promoter for Unity Events in Canada. We are hosting a very special The 100 three-day convention called Unity Days, and we want YOU to be a part of it! This convention has several of the cast attending, and will take place in the filming location of Vancouver. It will also take place January 13th-15th, 2017 at the Pinnacle Hotel Vancouver Harbourfront. The hotel itself is on the bay, and a breathtaking view of the harbour can be seen from the rooms. The convention is sure to be a memorable one, and a wonderful experience! By the way, I am traveling out of the States just to go. Talk about major fan love! More information will be up as soon as it is available! Tickets will go on sale Monday, July 4th, at 9 AM PST. 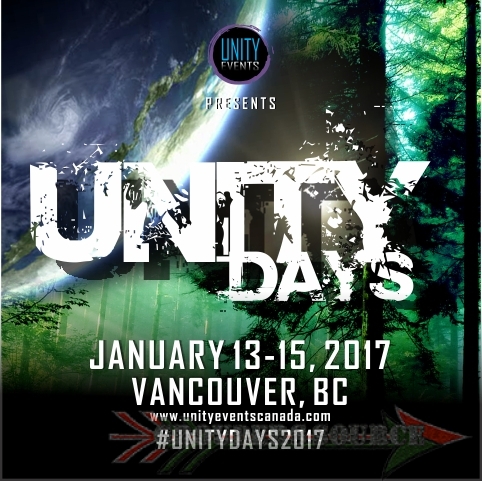 To learn more about Unity Events, please head over to unityeventscanada.com. I hope to see you there!